Cold, dry air in the winter. Hot sun and dry wind in the summer. Seems like your lips can’t get a break no matter what time of year it is. 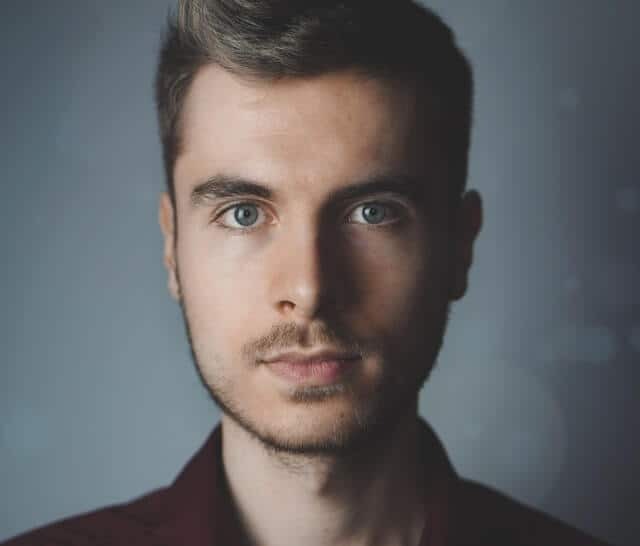 If you have dry, cracked lips then it’s time to take some time and find the best mens lip balms to repair your tender lips. Should you just use that chapstick your wife or girlfriend uses? No, it’s time to take care of your body with manly things like a lip moisturizer for guys. 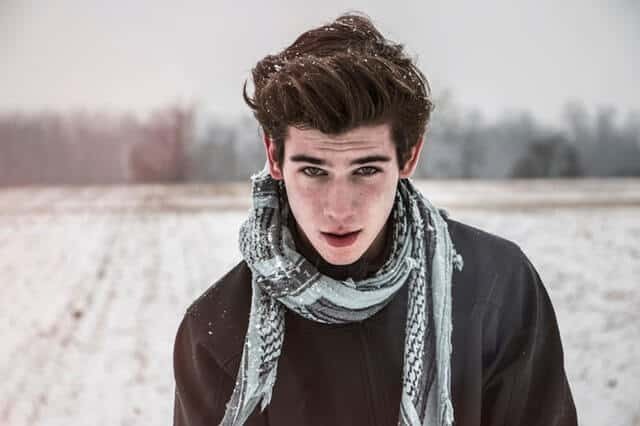 Lip care for men is not much different that what the ladies use, but if you get a manly lip balm tailored towards men, then you can feel better about your lip protection. 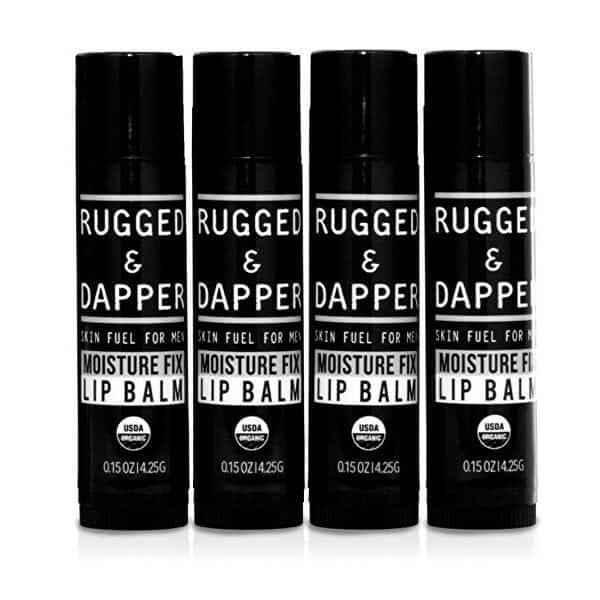 Especially since many of the best mens lip balms on the market will have flavors that guys actually like. If you’re in a rush you can just check the comparison table right below to see the top rated lip moisturizers for men. 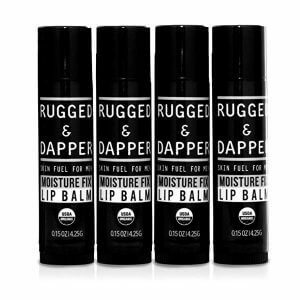 Everyone else can scroll down and read the detailed reviews to find the right and best mens lip balms for their needs. First let’s get some semantics out of the way before we go into the features of a good lip balm. Chapstick vs Lip Balm: What is the Difference? The biggest difference is that Chapstick is actually a brand of lip moisturizer. Just like Band Aids have become synonymous with any type of bandage, Chapstick is just what we call that stick that we rub on our lips to moisturize them and keep them from getting chapped. Aside from that, lip balm is an ointment that can repair and heal lips damaged from the sun or dry, cold air when they become too dry. For the sake of this article, I will use the terms interchangeably. To determine what the best mens lip balms are we need to know what we need it to do. There are tons of different brands out there so we need to zero in on the one that focuses on your problem. There are two types we are on the lookout for. Preventative and Repairing. All lip balms are moisturizers, but some prevent lips from chapping and peeling by keeping them hydrated. Others will repair lips when they are already cracked and bleeding, in the worst case scenario. To prevent chapping look for chapstick that has beeswax, shea butter, jojoba oil, argan oil, etc. Lip balms that have SPF is also very important as a preventative measure. The UV rays from the sun can do a number on your sensitive lips. Block those rays while you moisturize your lips and keep them from getting damaged. If your lips are already damaged and need some real TLC then look for lip balms that contain emollients. Those are moisturizers that will get the moisture deep into your skin. If your lips are already cracked, then try a lip balm with hyaluronic acid. This is found in many skin moisturizers as it is incredible at keeping moisture within your skin tissues. Make sure you stay away from lip moisturizers that contain alcohol as it dries your lips out and actually makes them more chapped than if you didn’t use a chapstick. Camphor, menthol and phenol are all ingredients that soothe the lips when you first apply it but then they end up drying the lips out to make you end up using more of it. This is how people become “addicted” to chapstick. It isn’t an actual addiction, it’s just that those people are using products that do the opposite of its intended purpose. We all know that guy or girl that is constantly putting on chapstick. Do that person a favor and hand them one of the best hydrating chapsticks from this list! Anytime you can buy a skin care product that is all natural or organic and it can still get the job done, then you should jump on it. All the ingredients serve one purpose, to treat your lips. So it is gentle on sensitive lips and won’t end up drying them out. In fact this lip balm lasts all day. The sunflower oil and jojoba oil penetrate into the lips and add the necessary moisture to keep them from chapping. Then Vitamin E helps to nourish them and finally beeswax will create a barrier to prevent any loss of moisture which is how it is able to keep your lips moist all day. It is very soothing when it is applied due to the invigorating peppermint and eucalyptus oils. It acts as a menthol without doing the damage a synthetic menthol would cause. This is a matte lip balm so it isn’t shiny, but, truth be told, there will be a slight shine to them for the first few minutes after application since it does contain oils. It goes on easy without feeling greasy, though. I am not sure what temperatures this can withstand, but the stick will hold its shape even when sitting in a warm place or in direct sun without melting. The only real downside to this is that it doesn’t have any SPF protection. Keep that in mind when buying best mens lip balms, especially if you are going to the beach or skiing in the winter. It is our choice for best natural lip balm for dry lips. Whether you are out on the slopes having fun, or are knee deep in snow digging your car out in the winter, your lips won’t like it. Protect your lips from the biting, dry wind as well as the sun. It may seem like you wouldn’t need a high SPF lip balm in the winter when the sun isn’t strong, but the reality is that the snow reflects a lot of sunlight and it is very easy for your exposed lips to get burnt. That is why skiers need to use sunscreen when they are on the slopes. Luckily this chapstick will get the job done by keeping your lips moisturized and hydrated and then keeping them that way by protecting you from the sun’s UV rays. 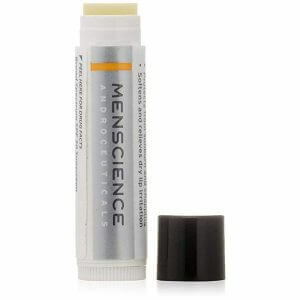 Menscience is definitely up there as the best mens lip balms for skiing as it has one of the highest SPF I have seen in a lip balm. Olive and hemp oil will hydrate the lips as well as act as an antioxidant keeping free radicals from doing any damage. Then aloe soothes them while the SPF keeps the sun off of them. If you already have some damaged lips from the wintery conditions and need to repair any cracking or bleeding, then I do recommend using a Aquaphor Lip Repair from Amazon.com to get them back on track as it is the strongest lip balm out there. It might be overkill over the long term, but if you need something heavy duty, get your lips healthy again and then go for the Menscience ones. In the winter it is a great one two punch. In the summer when temps are scorching, your lips need protection. Protection from UV rays means the best mens lip balms with SPF should have a pretty high SPF rating. 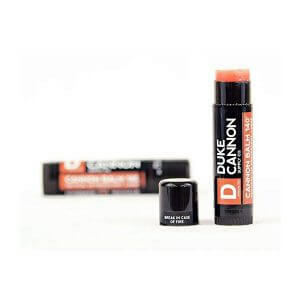 With an SPF of 30, Duke Cannon should definitely be your go to chapstick for summer. It can even withstand heat up to 140°F, so it is safe from melting in your pocket or gym bag if you are out in the sun. Natural baobab oil will give your lips the intense hydration they need in the summer to keep them from drying out. This is especially helpful when you are out for a day at the beach where the sun and salt air can really do a number on your lips. There is also blood orange oil is added as an antiseptic and anti inflammatory. In addition, it actually tastes and smells great. This is also a great lip balm for the price. The stick is much wider than your typical chapstick so you get 4 times as much for the price. You’ll definitely get a few weeks out of this stick since it contains more and lasts a long time in general anyway. You won’t need to be putting this on multiple times per day unless you are out in the desert. 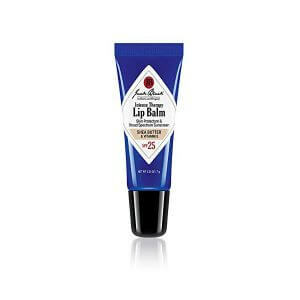 If you have very dry, cracked or peeling lips then the most effective lip balm out there is Jack Black Intense Therapy. The Shea butter and Vitamin E is the one I recommend when you need to do some heavy lifting since you require the right ingredients. Definitely stay away from the Mint flavored one as it will probably be uncomfortable on your sensitive lips. The SPF will protect from any further damage due to the sun’s UV rays and makes this an ideal lip moisturizing lotion year round. What sets this lip moisturizer apart from other best mens lip balms is that it really conditions the skin of your lips to repair any damage. 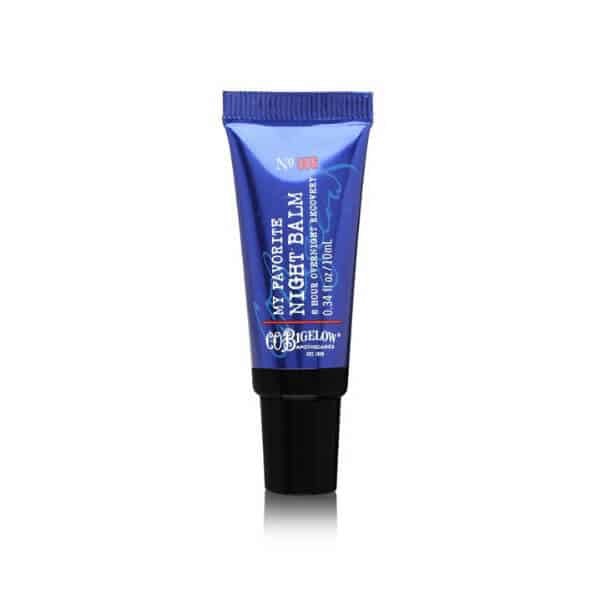 It provides long lasting relief and will get your lips feeling plump and moist very quickly. In fact, thanks to the conditioners in this, we can safely call this the best lip balm for kissing! If you want kissable lips then you need them to be properly moisturized with the best hydrating lip balm. The downside to this is that since it is a cream, it doesn’t last as long as a stick. In fact you have to be careful to not squeeze the tube too hard to avoid wasting it. If you use too much it goes on a little greasy. Otherwise, just use a tiny dab and it will go on easy and absorb quickly without any greasy feeling. 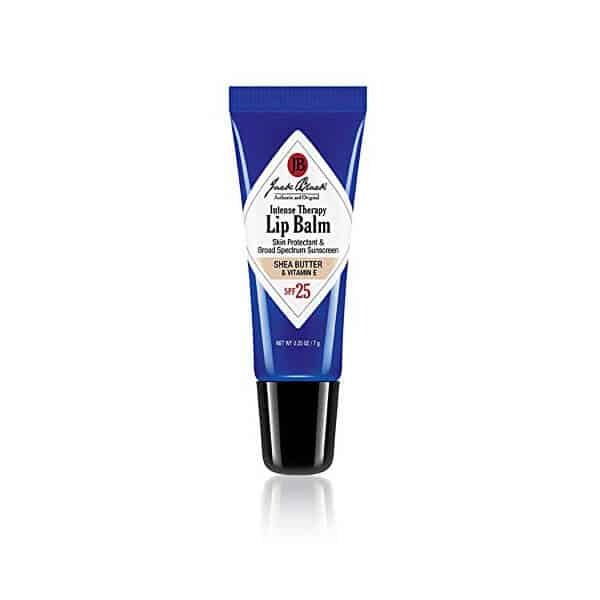 When you need some really intense relief from peeling lips or if they are cracked and painful then the best thing to use is a good night time lip balm that stays on for hours. This shea butter based lip balm by C O Bigelow is just the ticket for healing damaged lips. At night, your already cracked lips lose even more moisture during the night. It’s very important to put some lotion on that will penetrate deep into the lips to keep them from drying out and doing any further damage. This is also the best lip balm for smokers as it will help heal and deal with dark lips from smoking. Obviously, there are a number of reasons to quit smoking, but if you do smoke and hate having the spots on your lips from cigarettes then this lip balm will really help. There is no real scent or flavor since it isn’t meant to impress while you are sleeping. It does go on greasy a bit as it has 5% shea butter, which is a very high amount. A big downside to this is the added petrolatum, a petroleum by product. Usually I recommend using natural ingredients and to stay away from ones that have this. With that in mind, this is for when you really need some help with your lips and can look the other way when it comes to a less than desirable ingredient. As long as it is a lip balm without alcohol, you can ignore the fact that is has certain chemicals. I wouldn’t use this during the day because of the petrolatum and the fact that it is very glossy and would make your lips look greasy. Instead use this at night, then pick from the list of the best mens lip balms reviews for one to use during the day. When it comes to applying chapstick, there isn’t much of a trick to it. Just dial it up so it is just poking above the top of the container. Then rub it on your top lip enough to coat it. You will feel it go on so you will know if you missed a spot. Do it on the bottom lip, but this time apply it much lighter. Now invert your lips so they rub against each other and you are done. My best tip is to do this in private! As far as lip balms, you really only need a couple of drops. Squeeze out the lotion while you are looking at it. As soon as you see a drop, then stop and rub it on your top lip. Follow the same procedure as chapstick on your bottom lip and invert. If you found that you put too much on, then use your finger to rub it into your lips to make sure it all gets absorbed, otherwise it will look like you are wearing lip gloss and might feel greasy. As you can see, the best mens lip balms are not really that expensive and do a really great job at keeping your lips healthy and hydrated when you pick the right one. So, with that in mind, make sure you stay away from cheap chapstick. It isn’t worth it to save a few pennies only to have to apply it many times over the course of the day because it is actually drying your lips and making them more chapped than before. You can also hedge your bets and keep your lips healthy and plump by making sure you drink plenty of water and stay away from drinking too much booze if you feel your lips getting chapped. And keep an eye on the expiration date. If your lip balm or chapstick is expired it won’t hurt to use it, but the moisturizers won’t be doing their job. Which is wasting time and your lips may even end up more chapped if you weren’t using it at all. Again, they are not that expensive so toss out that old stick and buy yourself a good one. Take this opportunity to get a good natural or organic lip balm and really treat your lips right. We would love to hear about any lip balms that you love that you didn’t see on the list. Drop a comment below and let us know! Also, we love to help you guys, so if you have any questions at all about chapstick or any other grooming products then let us know by dropping us a line in the comment box below! Best Hair Shears And Thinning Scissors: Snip In 2017!